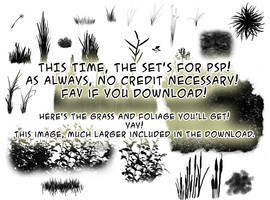 Hit download for the full sized image. 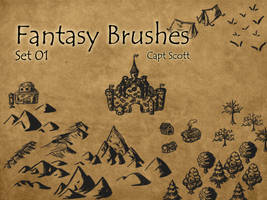 I didn't seperate each brush--they're stamped on there at their full size for you to use in any program you want. 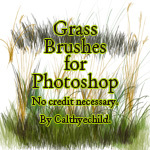 If you make a brush set for another program, upload it, CREDIT ME, and LET ME KNOW and I'll link to it from the original Photoshop CS2 set. 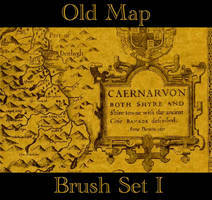 What you see on this picture is what you get--a set of Tolkienish map stamp brushes. 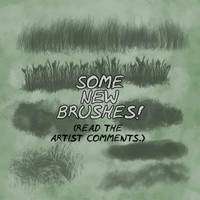 Except not in brush form. That's up to you. 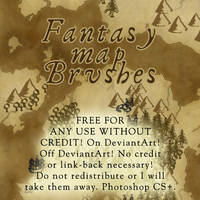 Brushes free for use commercially, privately, basically for anything you can think of EXCEPT claiming you did it, repackaging as a set, etc. Credits and link back nice but unnecessary. If you show me what you made, of course, I do fav in my 'stuff made out of my stuff' folder. 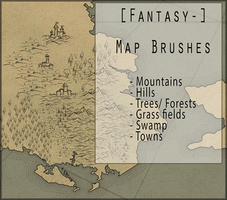 These are actually pretty good brushes, I've decided to use them for making a map based on my fantasy story: Story of Cartanoth. 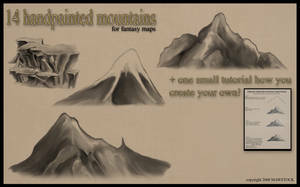 I've also used brushes from the more mountains brush pack as well. Hah, I'm not sure you can make a map on your phone. 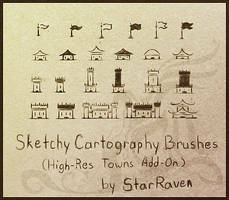 I suppose if you had a decent stylus, a program that could load brushes, and a good smartphone you might? But I've got nothing for ya. 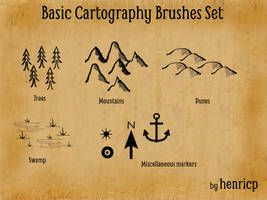 Cool brush set! Thank you! Nice! 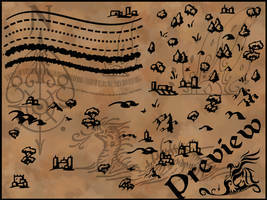 I'll use them to make some decoration for a Tolkien-related reading event we'll have in Milan next November 17th. Of course I'll credit you. 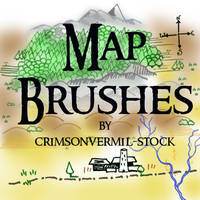 I just want you to know that I'm using your brushes to make a map for my book, and some of the names are cracking me up. I think "ascarycitything" is my favorite. 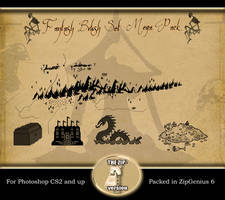 Thanks a lot for making these, they are GREAT and I'll definitely show you my work when I'm done! 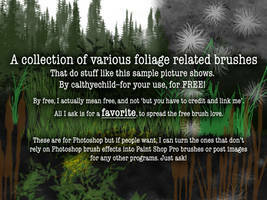 But I don't know how to send you a link to it so... but there isn't so many art on my account. 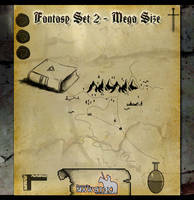 It's on "Fëanor's oath 3", if you are interested. 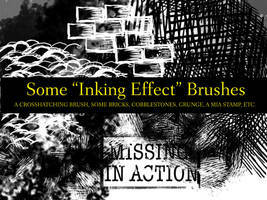 Thank you for the brushes !!! Thanks a million for these gorgeous babies! omg! 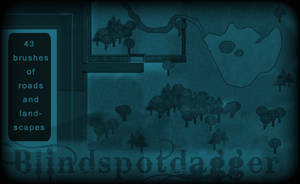 i totally see an "Isengard" brush there!!!! that is awesome. 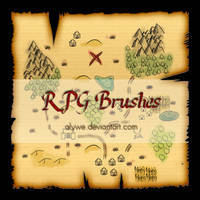 Yes, there is indeed an Isengard brush in there! Nice catch! 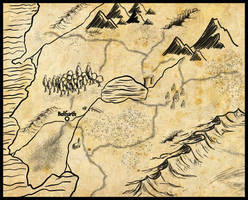 Another map update here. Hope you like. 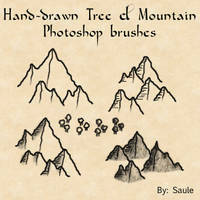 Used these brushes and your mountain brushes here. Thank you for posting these. You're welcome, and thanks for showing me! These are very nice. 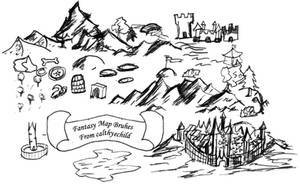 I may use them on a fantasy map I'm generating for a little role play hobby my friends and I do. I'll show you the end product, if this is alright with you of course. Oh, they're here FOR using. 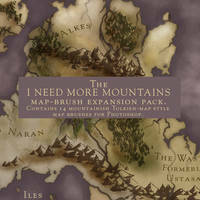 If I didn't want people using them to make maps I wouldn't have them up here. Of course it's all right with me! ^_^ And you don't have to show me if you don't want to. Have fun using them! I'll have to try that on Saturday when I have time to think. Yeah. I'm working Saturday so I'm not sure I'll HAVE time to think. I'm road tripping to Meadowlake tomorrow so I won't be abel to think until Saturday. Yeah, it is. It's about 3 1/2-4 hours south of me. It's the closest big town.